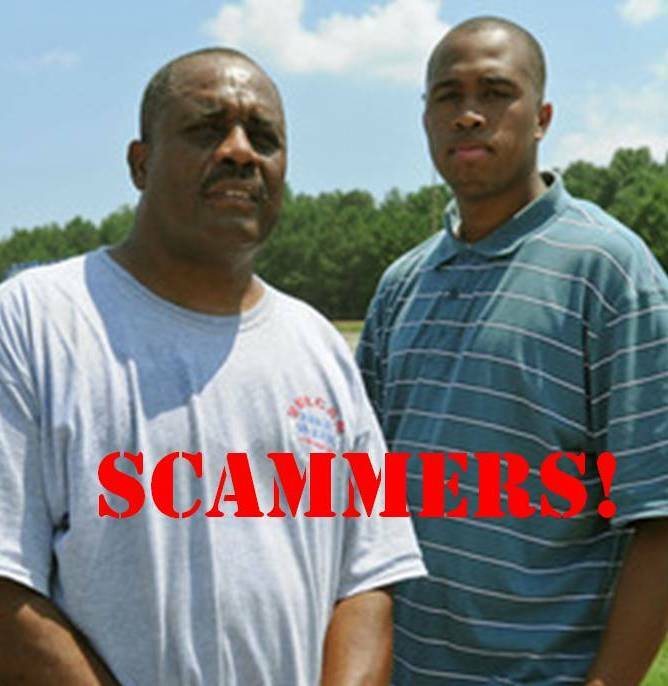 Promoters John Gibson Sr. and Johnny Gibson Jr. have scammed not only legitimate motorcycle dealers, but it appears they scammed the city of Birmingham Alabama for $25,000 dollars. He was or is the the promoter of Vulcan Bike Week, which they moved, by the way, to the same day and location as where a motocycle race was taking place already. They moved it to the Alabama International Dragway in Steele, where motorcycle drag races were already scheduled. Hmmmm. It turns out that a man Named John Gibson Sr. and listed as living at the same address pled "guilty in 2002 to falsely accusing someone of involvement in an apparent terrorist plot to attack an Alabama Power facility. Johnny J. Gibson Sr. pleaded guilty to making false statements and was ordered to pay restitution and serve five years' probation, U.S. District Court records indicate. He filed for bankruptcy protection five months later, according to federal bankruptcy court records. " You can get the whole story here. If only they had run a background check. Even you can run a background check that would reveal that information, as it is all in the public records. All you need to do is use the Net Detective. Gibson had made a "last minute change" to the event from Birmingham allegedly because food vendors could not get permits. The scammer had estimated that the bike rally "could attract 25,000 to 30,000 people and have an economic impact on the city of $17.3 million. - When a reporter visited the rally in Steele on Saturday afternoon, a total of eight people sat in the grandstands watching. No food or beverage vendors were present." Delmous Vance, owner of Busa Bikes, a Birmingham motorcycle distributor, sells motorcycles as well as participates in races. Vance said he was approached by Gibson Sr. and his son, who also supposedly works for G. Entertainment, to handle the bike events in Steele. What is more interesting, is that his corporation, G. Entertainment LLC, was dissolved in May of 2008. Now I don't know if Gibson was even an original part of it or not - but even a simple public records check (just as I did here from my blog) would have shown that. Delmous Vance, owner of Busa Bikes, was approached by Gibson Sr. and his son, who also supposedly works for G. Entertainment, to handle the bike events. The legitimate business owner was left holding the bag with no prize money for the race. So if a scammer claiming to be from G. Entertainment LLC that wants to promote anything. Avoid them like the plague.